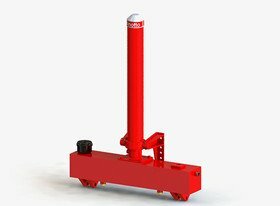 Binotto designs, manufactures and distributes a complete range of Hydraulic Front-end Telescopic Cylinders from 7 ton up to 100 ton for any type of body design, for tipping trailers, semitrailers and tipper rigid trucks. 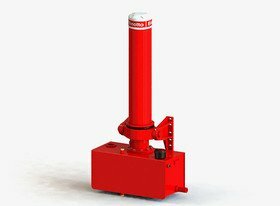 It is the widest range of telescopic cylinders for capacity and product variations to fulfil all tipping applications for any market condition, offering the most productive, practical and robust front end tipping cylinder that has ever been made. Even at the close-to-the-limit climate conditions! 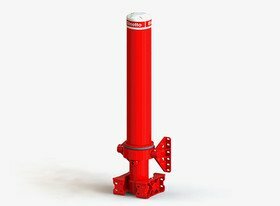 Binotto Hydraulic Cylinders are available in many configurations. MFC type can be chosen with long or short outer cover (different sizes available) according to the design of the body. TFC: this model is a combined cylinder and oil tank designed system for the UK rigid vehicle tipper industry market. With the highest standards of product design, machining accuracy and material quality, Binotto front-end cylinders offer a unique combination of operating benefits. 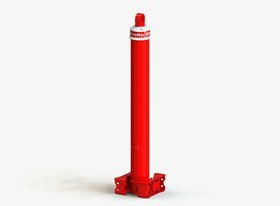 All Binotto Front-end telescopic Cylinders are manufactured exclusively using seamless steel tubes with high yield points and tensile strength. Binotto's solid design still remains an unsurpassed solution, with 'Stop Ring' or 'Stop Contact Faces' directly obtained from the machining of the solid tube without any welds or clipped components. The 'Roller Burnishing' process adapted by Binotto is applied to each seamless cylinder stage, both inside and outside, increasing the superficial hardness and the density of the material. Our specially selected high performance seal and wiper system is designed to operate on these particularly hardened surfaces, allowing optimum clearance between cylinder stages (never more than 0.07mm). 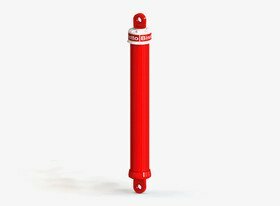 As a consequence, Binotto hydraulic cylinders provide better resistance to side loads and bending factors and, therefore, higher safety to the vehicle. The 'Roller Burnishing' process also provide incredibly smooth surface on the tubes ( with a mirror effect as a standard). This is both elegant and functional feature, since it allows long-lasting seal lifetime, reducing the wearing effects on the inner parts. Also featuring a double seal system, Binotto cylinder are almost trouble free cylinder, reducing at the minimum the risk of oil leaking and, as a consequence, reducing the downtime of the machine. With these advanced manufacturing processes and the use of high quality materials, the Binotto Hydraulic Cylinders can also run in high pressure conditions, offering a unique combination of benefits to operators, both for new and existing vehicles, being reliable, easy to maintain and increasing performance and productivity.